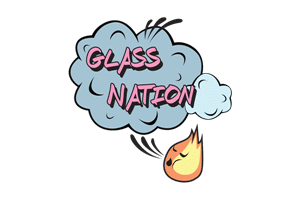 Most importantly Glass Nation should be your go-to resource for the very best herb grinders online. The Premium Aluminum Tobacco & Herb Grinders we sell include sifter screens for filtering out unwanted plant material. Since you want to keep all your delicious pollen. Our tobacco grinders all come equipped with pollen sifters and pollen chambers. Our 4 piece grinders are selected for performance, durability, quality, and value. Unlike our competitors, we have tested each of these products to ensure they perform as advertised. Cheap grinders are not always the best grinders. The key is to look for both wonderful value and quality. So our grinders are the perfect balance between value and quality. The best tobacco grinders come in both very large and very small sizes. Therefore, we offer herb grinders in various popular grinder sizes, including: 1.6″ grinders, 2″ grinders, 2.1″ grinders, 2.5″ grinders, 2.75″ grinders and 3.5″ grinders. If you are interested in a specific grinder and you don’t see it in our inventory, please feel free to contact us and let us locate the very best fit for your needs.